The Tyler Prize Executive Committee announces the awarding of the 2010 Tyler Prize for Environmental Achievement on its thirty-seventh anniversary to Dr. Laurie Marker and Professor Stuart L. Pimm for their scientific contributions, their understanding of ecosystem functions, and for their applications of this knowledge to the management and restoration of ecosystems to the benefit of their inhabitants. Laurie Marker is recognized for her contributions in developing an ecosystem based approach to sustainable management of a landscape, using the knowledge and economic interests of the local population, and thereby also supporting the continuation and survival of the cheetah. Stuart L. Pimm is recognized for his contributions in delineating the structures of ecological food webs, which allows understanding of the determinants of the expected lifetimes of plant and animal populations and the determination of populations most vulnerable to risks of extinction and those with the capacity to recover most rapidly from disturbances. The 2010 Tyler Prize for Environmental Achievement is being awarded to Dr. Laurie Marker, the co-founder and executive director of the Cheetah Conservation Fund, in recognition of her work in southwest Africa to address the social and economic needs of subsistence livestock farmers and, at the same time, to protect the endangered cheetah and to restore farmland and wildlife habitat. Marker and the Cheetah Conservation Fund are based in Namibia, and they are addressing problems, real and perceived, of cheetah predation on livestock and the very real degradation of grazing land and wildlife habitat by an invasive bush. Marker initiated a project to raise guard dogs for livestock herds as a non-lethal way to reduce cheetah predation, and she helped create an economic enterprise that clears invasive thorny bushes from the landscape for processing into fuel. These projects are building a constituency among rural Namibians for cheetah conservation, and Marker is being honored for incorporating the knowledge and economic interests of the local population into an ecosystem-based approach to sustainable management of a landscape. Dr. Marker is considered the world’s foremost expert on cheetah biology and an innovator in strategies that build local support for wildlife protection and habitat restoration. Her early work with captive breeding of cheetahs at a zoological park in the United States led to fieldwork in Namibia where she encountered the complex problems that affect cheetahs in their native habitat. One was a perception by Namibian ranchers of cheetahs as threats to their livestock, a perception that prompted ranchers to kill cheetahs routinely. Another was the spread of invasive thorny bushes across Namibia, a problem that limits the cheetahs’ ability to see animals when they’re hunting and reduces the open space cheetahs need to accelerate and catch their prey. Marker established the Cheetah Conservation Fund in 1990 as a base for studying cheetahs and working with Namibian residents to protect this carnivorous predator. She collected data for 10 years that showed cheetahs prefer to hunt and eat wild animals rather than livestock and indicated that guard dogs are effective for preventing cheetah attacks on livestock. Marker and her organization now raise Anatolian Shepherds and a related breed, the Kangal Dog, for ranchers to use as guard dogs. The program is a successful non-lethal means for protecting livestock, given the dogs’ natural inclination to act as “protectors of the herd” and the cheetahs’ natural disposition to choose “flight over fight” when they’re confronted while hunting. The Cheetah Conservation Fund also has taken an innovative approach to restore and protect farmland, grazing lands and wildlife habitat by clearing several species of invasive thorny bushes. The fund established a subsidiary company to process the bushes into wood briquettes called Bushblok that burn hot and clean, and the company now employs 20 Namibians in a processing plant and as harvesters and chippers. Through initiatives such as these, Marker and the Cheetah Conservation Fund are forging ties with local residents, especially landowners, that will be essential for long-term cheetah survival. Dr. Marker was born on January 20, 1954 in a suburb of Detroit, Michigan, and grew up in California, first on the Palos Verdes Peninsula and later in San Jose. In 1990, she earned her B.S. in biology from Eastern Oregon State University, and in 2003 she earned a Doctor of Philosophy degree in zoology from the University of Oxford in the United Kingdom. Her career in wildlife conservation, particularly with regard to cheetahs, began in 1974 at an accredited zoological park called Wildlife Safari in Winston, Oregon. She started work there as a veterinary clinic assistant and quickly became the clinic supervisor. In that role, she helped develop a captive breeding program for cheetahs that had been obtained from the wild in Namibia, and she became the park’s cheetah curator in 1977. That year, she traveled to Namibia for the first time to study the behavior of a cheetah she had raised in captivity when the animal was exposed for a limited period to its native habitat. Marker worked at Wildlife Safari as cheetah curator and director of marketing and education until 1988, when she took a position with the Smithsonian Institution’s National Zoological Park in Washington, D.C. Marker became the executive director of the zoo’s New Opportunities in Animal Health Sciences Center, known by its acronym as the NOAHS Center, and held that position until 1991. (She maintains her affiliation with the NOAHS Center as a research fellow.) Marker founded the Cheetah Conservation Fund in 1990 as a not-for-profit organization and moved to Namibia to develop a permanent conservation and research center for cheetahs in the wild. Dr. Marker has served with many conservation organizations, some specific to Africa and others international in scope. For more than 20 years, she has worked with the International Union for Conservation of Nature: she is a member of Cat Specialist Group of the IUCN Species Survival Commission (1988 to present) and served as its co-chair (1995-2001); she also is a member of the IUCN commission’s Conservation Specialist Group (1991 to present) and a member of its Cat Specialist Core Group (2001 to present). Marker is an advisor for the Cheetah Species Survival Plan managed by the Association of Zoos and Aquariums (1988 to present) and is a former coordinator of the plan (1987-1988). Marker is the keeper of the International Cheetah Studbook (1987 to present), a registry of all captive cheetahs that is used for captive breeding and management plans, and a former keeper of the North American Regional Cheetah Studbook (1982-1987). Marker is a member of the rare species committee of the Namibia Professional Hunting Association (1993 to present) and the Cheetah Species Coordinator for the African Preservation Programme of the African Association of Zoological Gardens and Aquaria (1995 to present). She is a member of Namibia’s Waterberg Conservancy (1996 to present) and the Large Carnivore Management Association of Namibia, part of Namibia’s Ministry of Environment and Tourism (1997 to present). She also serves on the executive committee of the Conservancies Association of Namibia (1997 to present). Marker is a member of the American Association of Zoological Parks and Aquariums, the Society of Women Geographers and the Veterinary Association of Namibia, and she has received numerous honors and awards. Marker received the Conservationist of the Year award from the African Safari Club, Washington, D.C. (1992), the Distinguished Leadership Award from the American Biographical Institute (1997), and the Cincinnati Zoo & Botanical Garden Wildlife Conservation Award, which is part of the zoo’s Barrows Conservation Lecture Series (2000). Time Magazine named her one of its “Heroes for the Planet” (2000), and she was named Humanitarian of the Year by the Marin Humane Society in northern California (2001). Marker received the Paul Harris Fellowship from Rotary Club International through its chapter in Windhoek, Namibia (2001), and she was a finalist for the Audi Terra Nova Awards (2002), a prize that is considered one of the top environmental awards in South Africa. 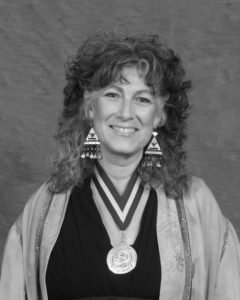 She also has received the ChevronTexaco Conservation Award (2003), the Conservationist of the Year award from the Living Desert conservation organization in Palm Desert, Calif. (2005), a Lifetime Achievement Award from the Zoological Society of San Diego (2008) and a Gold Medal from the Society of Women Geographers (2008). In addition, the Cheetah Conservation Fund received the 2008 Intel Environment Award from the Tech Museum of Innovation in San Jose, Calif. for its use of technology to convert an invasive species into clean fuel. Dr. Marker has written or contributed to more than 40 articles published in scientific journals, professional publications, conference proceedings and books. According to the ISI Web of Knowledge, she is listed as a first author on 10 articles in the following journals: African Journal of Ecology, Biological Conservation, Conservation Biology, Journal of Zoology, Journal of Wildlife Diseases, South African Journal of Wildlife Research and Zoo Biology. Professor Pimm was born on February 27, 1949 in Derbyshire, England, and is a naturalized U.S. citizen. He earned his B.A. from the University of Oxford in 1971 and his Ph.D. in biology from New Mexico State University in 1974. 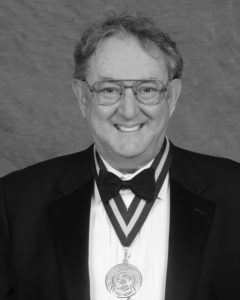 After finishing his doctorate, Pimm took positions as an assistant professor at Clemson University in South Carolina (1974-1975) and Texas Tech University (1975-1979) and as an associate professor at Texas Tech (1979-1982) and the University of Tennessee in Knoxville (1982-1986). Pimm was a professor in the UT Knoxville Department of Ecology and Evolutionary Biology (1986-1999) and the Columbia University Center for Environmental Research and Conservation (1999-2002), and since 2002, he has been the Doris Duke Professor of Conservation Ecology at Duke University in Durham, N.C. A trip to Hawaii in 1978 was a significant turning point for his career in conservation science, a moment he described years later during an interview with a New York Times reporter. Pimm spoke of his enthusiasm for bird watching, his anticipation before the Hawaii trip of seeing the islands’ flora and fauna, and his shock at how many birds listed in his field guides were extinct or close to it. “Suddenly this extinction business seemed very real,” Pimm said. Professor Pimm’s service on committees and advisory boards, past and present, involves more than 30 organizations. He currently serves on the editorial boards of two journals—Evolutionary Ecology Research and Biodiversity and Conservation—and on the advisory board of the journal Animal Conservation. He holds positions on the boards of the Union of Concerned Scientists and the National Zoo in Washington, D.C. Since the early 1980s, Pimm has attended more than 240 seminars at locations around the world and serves as Conservation Director for the Key West Tropical Forest and Botanic Garden. He has given plenary or opening addresses at conferences worldwide. Since 2001, he has held the position of Extraordinary Professor in the Conservation Ecology Research Group of South Africa’s University of Pretoria, and in 2005, he was named Alumnus of the Year by the College of Arts and Sciences at New Mexico State University. Pimm is a fellow of the American Academy of Arts and Sciences (2004) and he has received numerous honors and awards. In 1993 he was a Pew Scholar in Conservation and the Environment. In 1994, he became the first recipient of the Kempe Prize for Distinguished Ecologists, a Swedish award sponsored by the Kempe Foundations, Umeå University and the Swedish University of Agricultural Sciences. In 1999, he was awarded an Aldo Leopold Leadership Fellowship from Stanford University, and he received the Marsh Award for Conservation Biology from the Zoological Society of London in 2004. In 2006, he received two major awards: the Society for Conservation Biology awarded him the Edward T. LaRoe III Memorial Award, an honor for leaders who translate principles of conservation biology into real-world conservation, and the Royal Netherlands Academy of Arts and Sciences awarded him the Dr. A.H. Heineken Prize for Environmental Sciences for research on species extinction and conservation. In 2007, Sigma Xi presented Pimm with its William Proctor Prize for Scientific Achievement. Professor Pimm has written three books, noted above, and he is listed as an author on more than 220 papers and letters published in numerous peer-reviewed journals. Those journals include Nature, the Proceedings of the National Academy of Sciences, Science, Conservation Biology, Animal Conservation, and Conservation Letters. He is rated as a “highly cited” researcher by the ISI Web of Knowledge in the ecology/environment category.